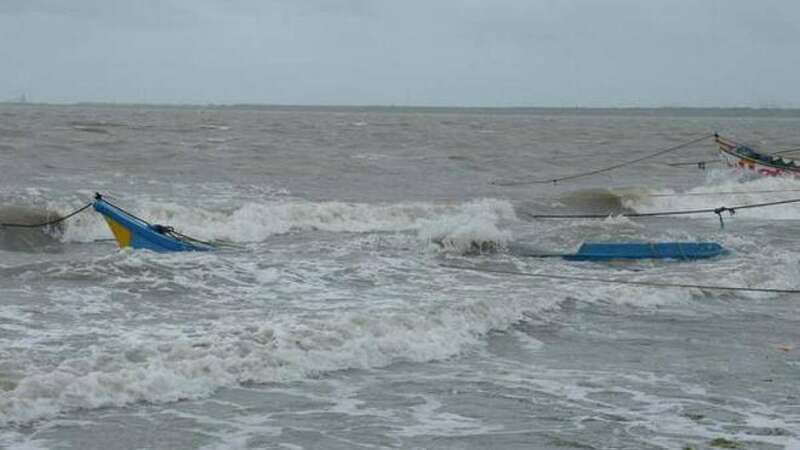 Thiruvananthapuram : The fishermen community here on Sunday decided to launch their own rescue operations as 55 boats ventured into the sea to search for the 115 missing fishermen. According to the latest reports, the cyclone Ockhi has claimed the lives of 10 persons with 475 fishermen rescued so far.Rescue teams decided to step up their operations after a body in a highly decomposed state was recovered near the Vizhinjam coast earlier in the day. The boats, 40 from Poonthura and 15 from Vizhinjam, left the shores with food and water. State Tourism Minister K.Surendran and Fisheries Minister J. Mercykutty Amma have been engaged in rescue and rehabilitation operations since November 30 and coordinating with the Navy, Air Force and Coast Guard officials. However, anger was mounting in coastal villages as they were unhappy with the authorities failing to take precautions before the cyclone hit the state. "The authorities have failed miserably and the relief camps are also poorly managed with even the basic facilities not available. We have been demanding opening of a control room in our area but nothing has happened," said a Poonthura resident. The fishermen have blocked traffic on Sunday in agitation.